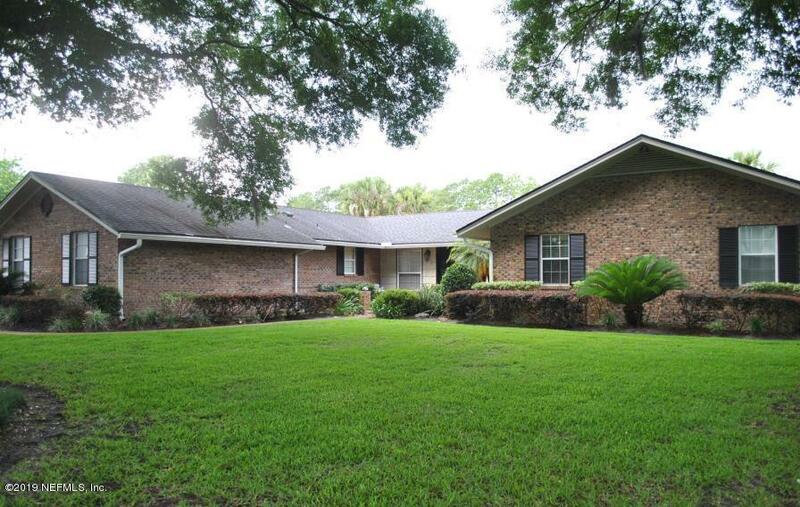 Deerwood is one of the oldest and most well-regarded gated residential communities in the Jacksonville area. This executive Ranch home has 4 bedrooms, 2.5 baths, 2 car garage with Full Brick, sparkling pool and breathtaking lake-to-golf views. 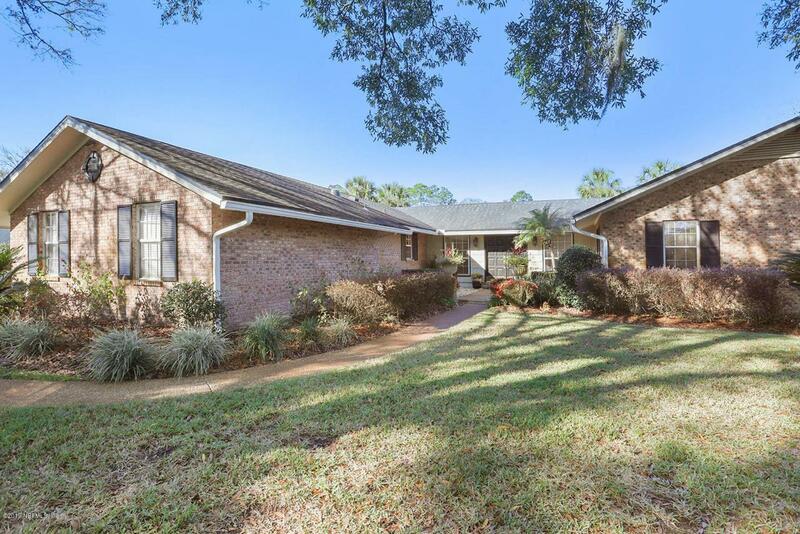 Formal Living & Formal Dining, Family Room with Floor to ceiling brick WBFP, remodeled eat in kitchen, gorgeous Maple cabinets, Granite countertops, stainless steel appliances ,custom Tile backsplash, Beautiful Parquet floors in Hallway, Dining, Family, Master and Bedroom #3 and 4. Baths also remodeled. 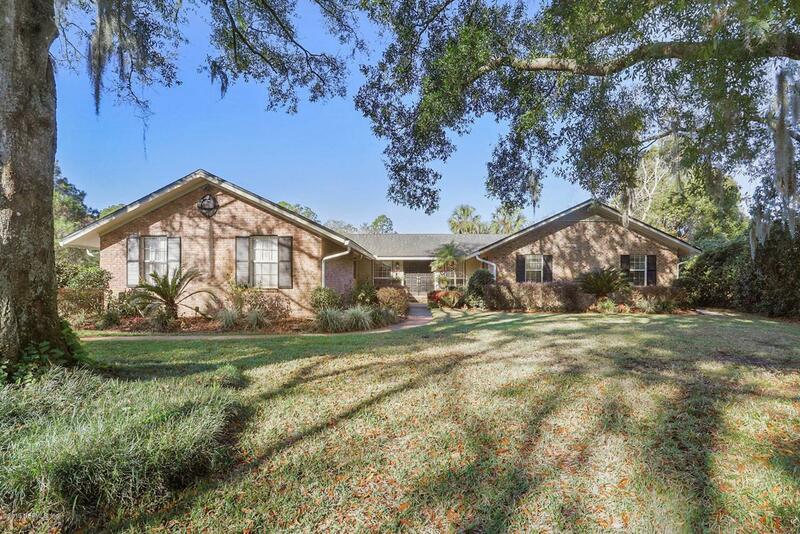 40 yr architectural (3/2006) shingle roof, gutters, Hunter irrigation system, landscaping, concrete driveway & Side Entry garage. Nice crown molding & baseboards, door hardware & more have been updated! 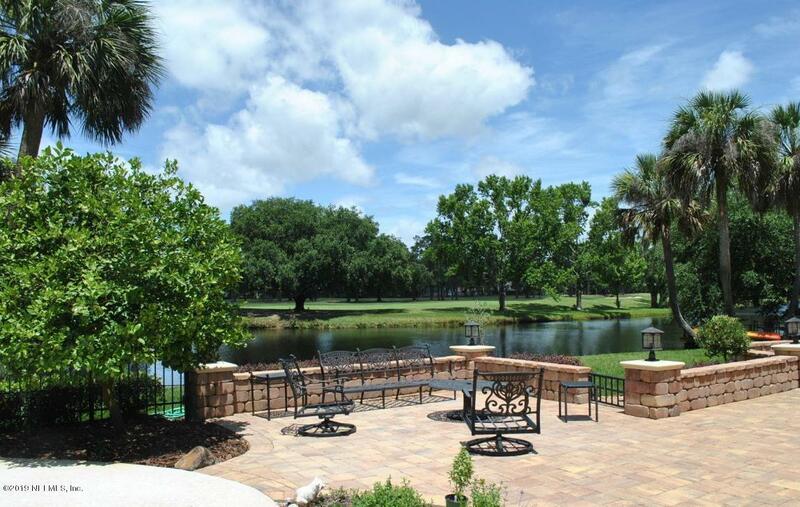 Outstanding WATER TO GOLF view.very private.